Bags of cheeky fun with Henry to help you start reading on your own. Great colour pictures by Tony Ross, with loads of brand new art. And one screamingly funny story – not too long and not too short. Super reading practice for all you tiny terrors. 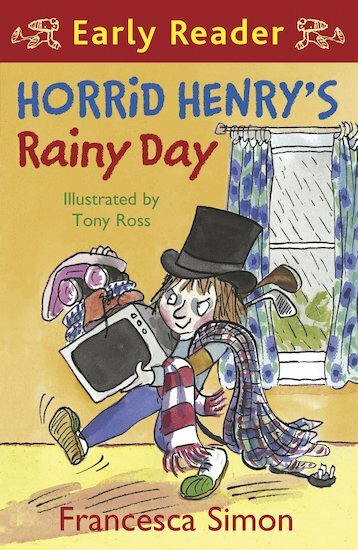 On a boring rainy day at home, Horrid Henry starts to write his will. But he soon realises he much prefers getting stuff to giving it away.